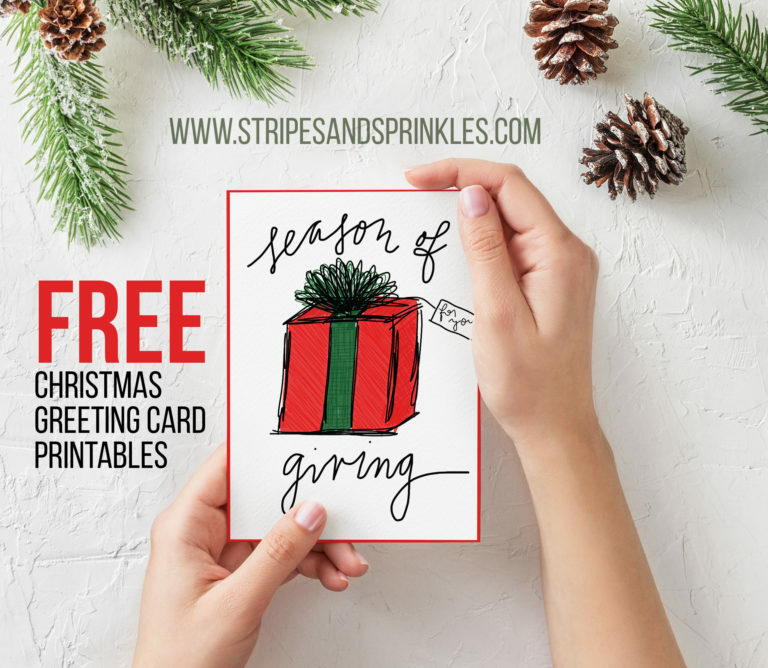 Use this FREE Christmas card printable to create a hand-written card to your loved ones. This card is a 4"x6" and fits an A4 envelope. 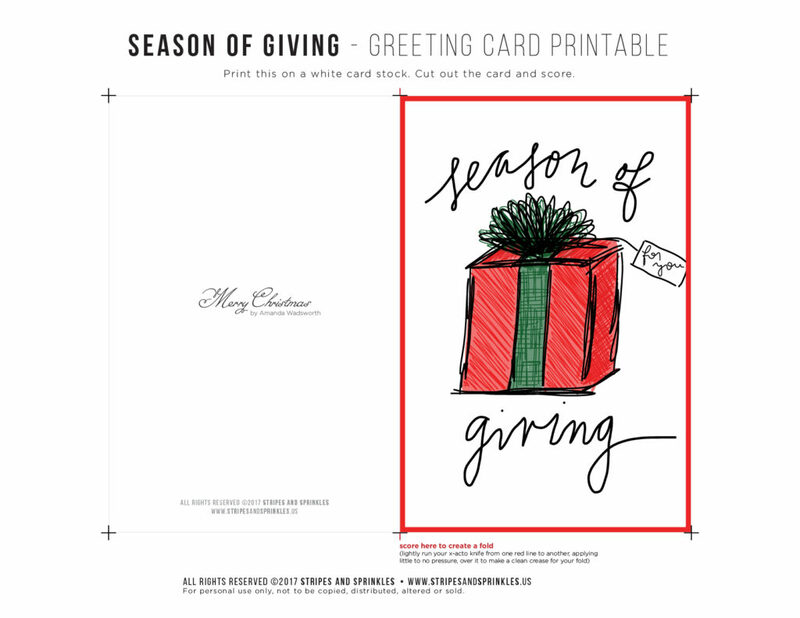 This Season of Giving Christmas card printable is designed by Amanda Wadsworth. Free mockup provided by Mockupworld.